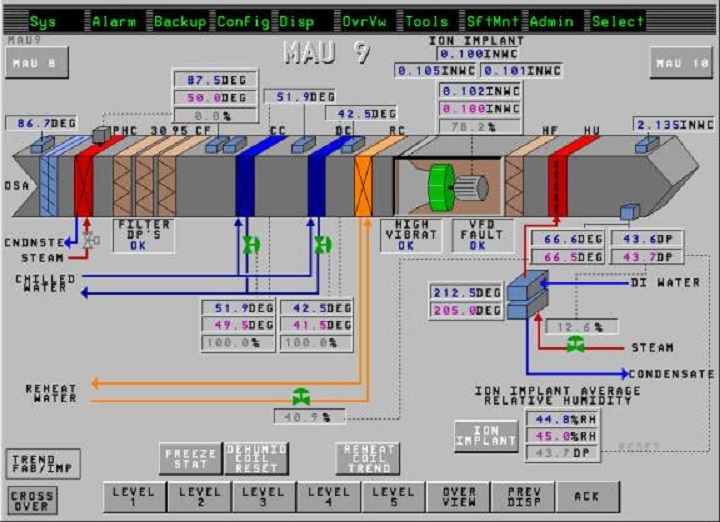 I & C Systems Engineering (ICS) has many years of experience in commercial and industrial-grade instrumentation and controls for facility management systems. We have designed systems to control entire buildings, from the tight tolerances of industrial clean rooms, to support equipment such as chillers, cooling towers, scrubbers, and down to the environmental controls for office spaces. We recognize the fact that some systems are more critical than others, and can devise cost effective, appropriate solutions for every need.